HLC Replenish Capsules provides two strains of proprietary human-sourced Lactobacillus acidophilus, Lactobacillus salivarius, Bifidobacterium bifidum and Bifidobacterium animalis subsp. lactis. The human microbiota presents a highly active metabolic that influences the state of health of our gastrointestinal tracts. Although much of our initial microbiota is adopted from our mothers, its final composition and diversity is determined by environmental factors. Westernization has significantly altered our microbial function. Extensive experimental and clinical evidence indicates that the westernized diet, rich in animal products and low in complex carbohydrates, plus the overuse of antibiotics and underuse of breastfeeding, leads to a heightened inflammatory potential of the microbiota (3). Other factors such as environmental pollutants and stress may also alter the fragile intestinal ecosystem equilibrium, which can lead to physiological changes in the intestinal environment, disrupting the functions of the gut microbiota. Autoimmune, allergic, irritable bowel syndrome and bacterial infections have all been linked to gut dysbiosis (1). 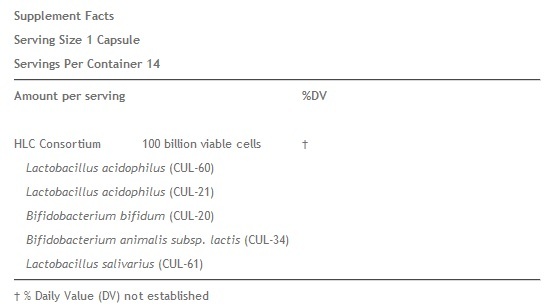 Moreover, daily administration of Lactobacillus salivarius CECT5713 to healthy adults has shown to improve gut microbiota and different parameters related to immune response (2). On the other hand, chemotherapy-induced gut toxicity is a major dose-limiting toxicity for many anticancer drugs. Gastrointestinal (GI) complications compromise the efficacy of chemotherapy, promote overall malnutrition, aggravate cancer cachexia, and may contribute to worsened prognosis. The GI tract is an attractive target for nutrition modulation, owing to its direct exposure to the diet, participation in uptake and metabolism of nutrients, high rate of cell turnover, and plasticity to nutrition stimuli. Glutamine, ω-3 polyunsaturated fatty acids, and probiotics/prebiotics are therapeutic factors that potentially modulate GI toxicity related to cancer treatments (4). Diarrhea is one of the main drawbacks for cancer patients. Possible etiologies could be radiotherapy, chemotherapeutic agents, decreased physical performance, graft versus host disease and infections. Chemotherapy-induced diarrhea (CID) is a common problem, especially in patients with advanced cancer. The incidence of CID has been reported to be as high as 50-80% of treated patients (5). Live lactobacillus acidophilus plus bifidobacterium bifidum reduced the incidence of radiation-induced diarrhea and the need for anti-diarrheal medication and had significant benefits on stool consistency (6).